The distinction between external transactions and external relations is necessarily a rather fine one, and there are doubtless other ways to manage the division of material. Essentially, however, there seemed to be advantages in assembling together most of the material that impinges upon the role of the UK as a member of the EU (see box below) and this chapter is broadly given over to this topic. 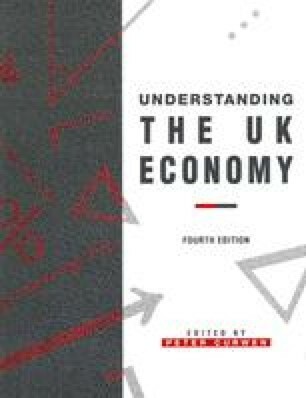 This means that the issues pertaining to exchange rate relationships within the EU are also contained within this chapter, even though the more general discussion of exchange rates appears in Chapter 10.